Ruby, best known for luxury motorcycle helmets launches a new line of head gear for the urban riders. 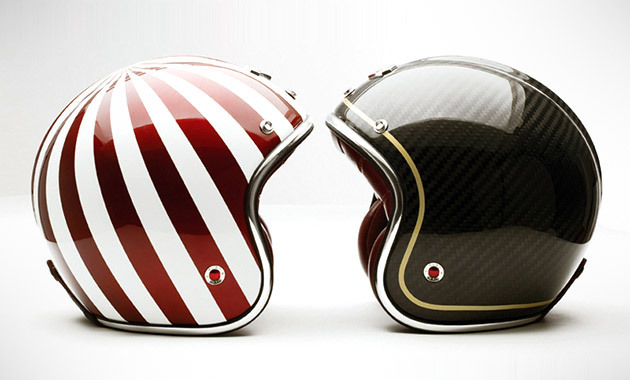 The Ruby Pavillon Helmets ($700-$800) boast a vintage look, packed with the modern features in safety and protection. Each Pavillon Helmet is made of carbon fiber developed for aerospace use that's ultra-lightweight, yet extremely durable and equipped with Ruby's signature burgundy-colored nappa lambskin leather lining to mimic the look and feel of a vintage sports car.